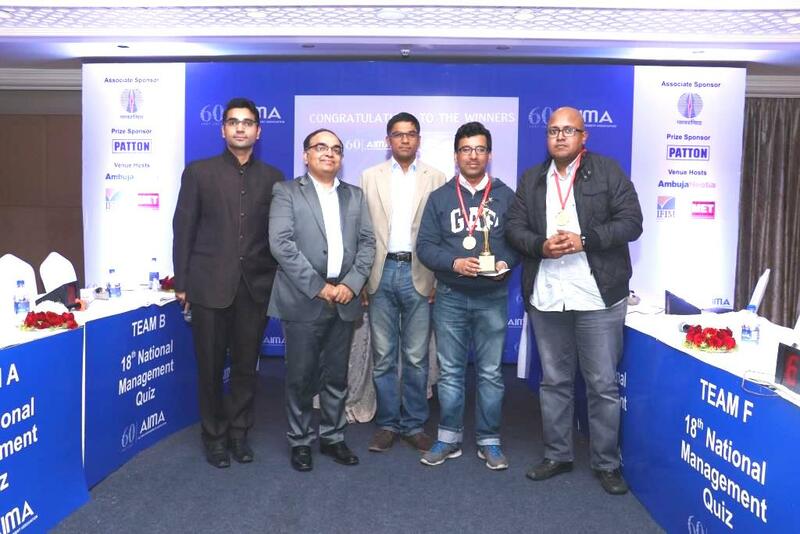 The 19th edition of AIMA’s National Management Quiz was conducted across India. The regional rounds were held in Mumbai on 24th October; Bengaluru on 25th October and Mumbai on 26th October and the Delhi regional round and the Grand Finale was held on 30th October. Tata Consultancy Services Ltd emerged as National Champion this year in NMQ. Bhilai Steel Plant was the National 1st runners up and HDFC Life was the National 2nd runners up. The programme witnessed a participation of over 128 teams from all over India comprising of both private and PSU companies. AIMA – 18th National Management Quiz (NMQ) 2017 AIMA organised the 18th edition of the National Management Quiz in Bangalore, Kolkata, Mumbai and New Delhi. The programme witnessed a participation of over 120 teams from all over India comprising of both private and PSU companies. The Grand Finale was organised along with the Northern region round on 9th December, 2017 at New Delhi. The finals brought together the sharpest young minds to tackle the tough and interesting questions thrown at them. It was a superb show of copious flow of knowledge and intelligence packed in exciting rounds. The winners for this year's contest was Tata Consultancy Services Ltd followed by Deloitte and HDFC Life as 1st and 2nd runners up respectively.